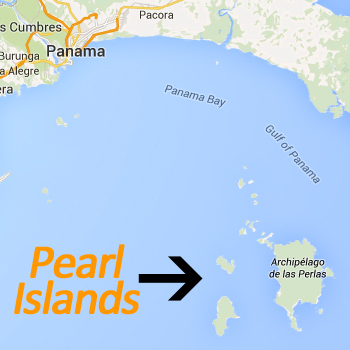 The Pearl Islands have a lot of activities to offer for every traveler. If you are searching for a vacation full of adventure and/or relaxing you have come to the right place. The Pearls have so much to offer that some activities are known all around the world because they only happen here. Most people that visit the pearl islands are going on a whale-watching trip, since this is an open sea adventure among the giants of the sea. Next you have the great variety of Dolphins swimming around the islands that can be spotted on tours and boat trips. The whales and dolphins are spectacular but the Pacific Ocean has much more to offer. When you go scuba diving around the Pearl Islands you can find great schoolings of fish, and with great we mean huge quantities of fish over 50k. Snorkeling can be done on various tours and trips around different Pearl Islands. If you are searching for some more adventure you can explore the jungles on the island with a squad, bike or golf cart. Kayaking is also a main activity on the seas around the islands; if you are lucky you might even encounter some dolphins! Are these activities too much then some relaxing activities might suit your vacation needs. You can walk the island in 1-2 hours and visit multiple beautiful beaches in a day. Some of the beaches are deserted and others are ready for you to snorkel and sunbath. We have selected the best activities on the island for your ultimate vacation experience. Some of these activities are only available in the right seasons such as whale watching but others can be done all year around.